The word is spreading…. The momentum is growing…. From the ladies shooting world I have discovered a National Take Your Daughter to the Range day. What a great idea! 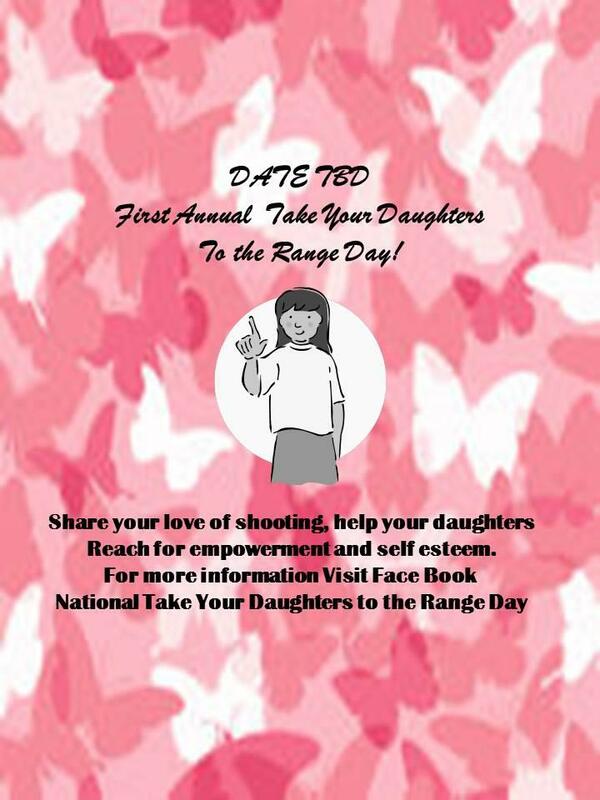 Mark you calendars for June 9th and hit the range with your daughter or young girl and introduce them to shooting. There is a Facebook page with information and the website is coming very soon with all the details. For years we have taken our daughters to the office and now it’s time to hit the range. It doesn’t matter if it is a pistol, rifle or shotgun. Go have fun and introduce your daughter to shooting. See you on the range! This entry was posted in For Women, Shooting Events and tagged National Take Your Daughter to the Range Day, pistol, shotgun, women and shooting. Bookmark the permalink.